The lending service, Kabbage, is a solid option if your business or startup needs a short-term loan to help cover payroll or other cash flow issues. If you're an entrepreneur or small business owner, you know how difficult it is to keep operations running smoothly, especially during slow periods. If you're a startup and lack the funds to pay your employees during the off-season, it can mean the end of your company. That's where Kabbage comes in. Kabbage provides "small business loans for the real world"—in other words, affordable, achievable loans with reasonable repayment periods. Kabbage itself doesn't lend money, but rather connects small business owners with sources of capital. Kabbage's platform reviews the performance data of small businesses and uses proprietary algorithms to evaluate what type of loan would be suit a given business, and then connects that business to the right lender. Kabbage claims the biggest obstacle for small businesses is access to capital, and by providing small businesses with loans, they can more easily improve their cash flow and productivity, and eventually expand the company. The name itself comes from the word ‘cabbage,' a slang term for money. The "About Us" section of the site says they considered "Paygosaurus" as a potential name, with a dinosaur as the mascot. Kabbage is the better name. Kabbage was founded in 2009 by Rob Frohwein, Marc Gorlin, and Kathryn Petralia. All three founding members are multi-year veterans from the financial and entrepreneurial worlds, and recognized the need for fast funding for small businesses. Kabbage makes the loan application process easy. The first step is to sign up and create an account. This process requires your business name, company structure, and industry type. It also requests your business phone number, address, and the month and year you established the company. After you've completed this step, Kabbage connects your profile with your business. Doing this allows Kabbage to verify your revenue. Some of the most popular services Kabbage works with are Amazon, Intuit Quickbooks, PayPal, Etsy, Xero, Ebay, Stripe, and Sage. Kabbage uses this information to verify not only your income, but also the consistency of that income as well as your personal credit. On the one hand, this means a single factor won't eliminate your chance for a loan. On the other, it is a lot of information that most people aren't comfortable handing over. The benefit of linking your business with Kabbage is that you receive a decision immediately. You don't have to wait for an email or letter to arrive with your results; not only do you know if you qualify, but you know the amount of the loan you qualify for. What are the services offered by Kabbage? Kabbage connects small business owners with loans. While it doesn't offer other types of loans, Kabbage does provide a loan calculator to help you determine the amount of interest you will pay on a loan over the loan period. Kabbage offers several different types of small business loans. Unsecured small business loans require no collateral. These loans usually have a lower principal and are given to entrepreneurs with smaller businesses; though unsecured loans are easier to pay back, the risk is higher because there is no collateral to pay off the loan if financial difficulty strikes. Unsecured small business loans include peer-to-peer loans, micro loans, working capital loans, and more. Secured small business loans do require personal collateral. Loan principals are usually higher and are used for mid-sized businesses that require large purchases to expand. These are the preferred type of loans for lenders, as the inclusion of collateral provides greater peace of mind. Borrowers are more likely to pay back a loan they have personal risk in, so interest rates tend to be lower. Secured small business loans include equipment loans, merchant cash advances, and more. Small businesses in specific industries may require loans for more specialized needs, such as food purchases or more modern equipment. Kabbage provides industry specific loans like retail loans, restaurant loans, pawnshop loans, and more. 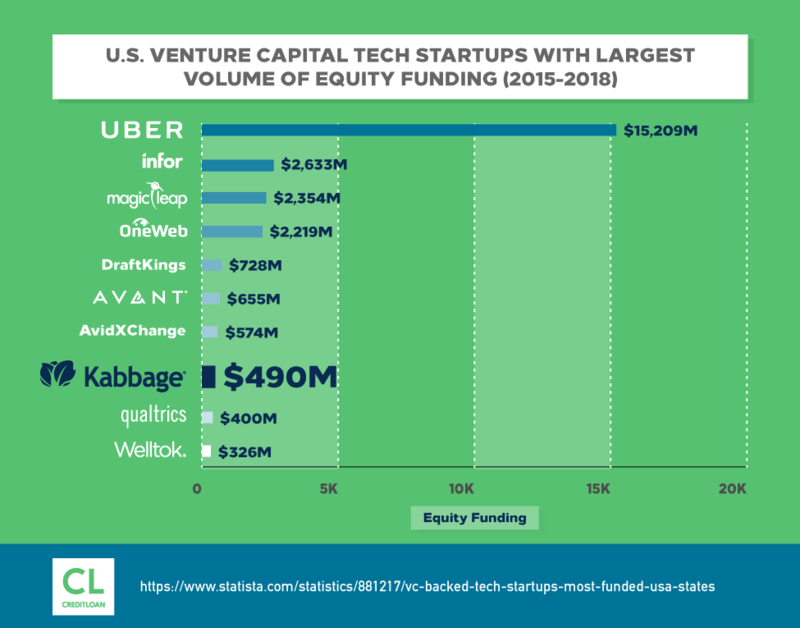 One of Kabbage's stated goals is to support entrepreneurs and small business owners, even those not typically represented by larger lenders, which includes minorities. As a result, Kabbage provides loans for women and veterans to help them grow their businesses. How much does Kabbage lend up to? Kabbage provides lines of credit up to $100,000 in value. The amount you qualify for is based on your company's total revenue, as well as the consistency of that revenue. Since their founding, Kabbage has provided over $2.5 billion to more than 100,000 businesses. What are the loan terms of services offered by Kabbage? Kabbage offers two term periods: six or twelve months. Once approved for a loan, you are able to withdraw working capital up to once a day. Kabbage has no hidden costs or prepayment penalties and you're not obligated to use any of the funding you qualify for. For every loan you take, whether 6- or 12-month, you pay a percentage of your withdrawal amount for a set period of time: two months for a 6-month loan and six months for a 12-month loan. After this period, you pay a flat 1 percent fee. With a 6-month term, you pay back an amount equal to 1/6 (roughly 16.7 percent) of the loan each month, plus a fee. The fee for the first two months is based on your unique business performance factors. After the first two months, you pay a flat rate of 1 percent. 6-month loans must be a minimum of $2,000. With a 12-month loan, you pay back an amount equal to 1/12 (roughly 8.3 percent) of the loan each month, plus a fee. The fee for the first six months is based on your income and revenue, while the last six months is a flat rate of 1 percent. 12-month loans require a minimum amount of $15,000. The interest rate for a Kabbage loan can be as little as 1.5 percent, or as high as 10 percent. Keep in mind that this rate only applies for the first two or six months of the loan. The interest is front-loaded, making the initial months the most difficult to pay off. How is Kabbage's BBB rating? Kabbage is based out of Atlanta, Georgia. Its Better Business Bureau page gives it a score of 3.46 out of 5 based on a single customer review. The BBB gives Kabbage an A rating. The only customer review is listed as 100% negative, but because there is only a single review, the results are skewed. There are 36 complaints filed over the last three years, but every complaint has been closed. Of those 36 complaints, 24 have been closed in the last 12 months, while six complainants were satisfied with the way the issue was resolved. The first step to obtaining a loan from Kabbage is to apply. This can be done on their website, or through the iOS or Android applications and the process is simple. Like we said above, you enter the relevant information about your business (business name, structure, address, etc.) and then link your revenue accounts. This allows Kabbage to give you an instant decision on whether you qualify or not. You will need bank statements of the three most recent consecutive months of your business, a copy of your driver's license, and a voided business check in order to apply. If you apply and are denied for a loan, you must wait anywhere from six months to a year to reapply. You should also be aware that during the final step of the application process, Kabbage will make a hard check on your credit from Experian. The application process informs you of this ahead of time, so you aren't caught by surprise. Despite this check, Kabbage doesn't report to personal or business credit bureaus; while late payments won't harm your credit score, on-time payments won't improve it. The Kabbage Card is one of three ways to use your funds. This is a MasterCard issued by Kabbage that gives you access to your line of credit, which can be used to purchase more inventory, supplies, or simply to cover a sudden expense you didn't see coming. The second way is via the dashboard, where you can take any increment and have it deposited into your account, and you will only be charged for the funds you actually use. The third way is through the mobile app. Once you have approval for a loan, you download it and withdraw funds from wherever you are. Making payments is just as simple. Kabbage sets up autopay so that the amount you owe is automatically drafted each month, but you can make manual payments if necessary. If you have multiple loans, you still only make one payment; Kabbage consolidates all of your payments into a single one so that you can more easily manage it. What are the eligibility requirements to apply for a loan? Kabbage's qualification system is set up so that no single factor can disqualify an applicant. The system takes into account business performance, credit score, revenue, and more in order to determine eligibility. However, meeting these two criteria is not a guarantee that you'll qualify. Non-profit businesses or those that have large outstanding balances with other lenders will be denied a loan. Businesses must also have an average bank balance of at least $2,500 in order to qualify. There are a few other criteria not explicitly mentioned as well. Kabbage requires that its borrowers have an active checking account and no more than three occurrences of overdraft within a 90-day period. Any more overdrafts than this will result in denial. While Kabbage does consider your personal credit, there is no minimum FICO score set that borrowers must meet. That said, some sources report that a score of at least 550 is needed in order to qualify. In addition, Kabbage doesn't consider your business' credit score in its decision. How user-friendly is Kabbage and its services? From an aesthetic standpoint, the site is clean and well organized, with large print and eye-catching buttons making it easy to navigate from page to page. Kabbage doesn't try to hide the loan terms or fine print and the application process is also easy. Plus, the fact that users can apply both online and from the mobile app is a fantastic feature that more sites need to adopt. The site even has the phone number listed in large print above the fold, where any questions can be directed. In addition to a well-designed site, Kabbage goes a step further and provides special perks to its customers with a variety of partnerships. These perks can be redeemed once you have signed up for Kabbage and have an account. Kabbage also provides a free resource center for members and non-members to use. The resource guide provides access to webinars, guides, infographics, and hot sheets—valuable information that small business owners can learn from and use to grow their company. The webinars include titles like "Easy Breezy Small Business Bookkeeping" and "Identifying the Right Software for Your Small Business." Some of the downloadable guides contain content like "Ways to Optimize Your Receivables Management for Success" and "Your One-Year Battle Plan for Explosive Growth." The infographics present information in a colorful, aesthetically pleasing format, with items like "Why Atlanta: The Benefits of Living and Working in the ATL." Finally, the hot sheets are almost like cheat sheets. These one-page, downloadable guides give you easy access to information you may need during the day-to-day operations of your business. How is the customer service/feedback? Kabbage provides several different ways for customers to get in touch. Under the "Support" tab on their homepage, customers can fill out a message form and send it to one of several different departments via a drop-down box. Kabbage also provides a direct support email address, a phone number, and the mailing address for their headquarters for customers that prefer to get in touch the old-fashioned way. If the problem someone encounters is common, an answer can likely be found at the Help Center. The Help Center contains frequently asked questions about Kabbage itself, fees, loans, payments, how to apply, and the security of the site. Multiple reviewers spoke to the ease with which they obtained their loans, sometimes even mentioning specific case agents by name. After scouring multiple review sites, the main complaint dealt with not realizing how much the initial repayment amount was going to be. However, Kabbage's calculator allows you to know how much repayment amounts will be before applying for the loan. One reviewer put it succinctly: most of the negative reviews were a result of not understanding how Kabbage works. Kabbage responded to multiple reviews, offering their apologies for any inconvenience the customer might have experienced and providing a number to call to resolve the issue. In cases where the issue dealt with a violation of their terms, Kabbage referred customers to the relevant section of the site. However, it should be noted that many of the responses came months after the review was initially posted—up to six months after, in some cases. Is Kabbage safe and legitimate to use? Breaking down Kabbage's safety and legitimacy are two separate but intertwined issues. Kabbage admits that it collects three types of information, either directly or indirectly. The first two are business and user information; this is the information you turn over when applying, including your business name, address, and phone number. User information may consist of everything from your name and phone number to your FICO score. The second type of information Kabbage collects is general information. This is information related to the usage of the site, i.e., whether someone accesses the website from a computer or mobile app, what browser they use, geographic location, and more. The company uses this information to identify usage trends and better improve the user-friendliness of the site. Although the policy goes on to say that information may be shared with any third party "with your consent," the question remains: Who are these third parties? Kabbage's affiliates and business partners are understandable; after all, that's part of how the company operates. While the site employs SSL and firewalls to protect the data, there is still the potential for leaks with the human element. Kabbage doesn't provide information on their hiring process, but it can be assumed that employees undergo background checks. Customers would naturally be concerned when dealing with large sums of money, particularly when related to business. Kabbage provides information on various ways to limit the functionality of cookies and tracking information in your browser, including links to websites that walk users through the basics of Internet safety. The company even recommends specific browser settings that users can activate in order to prevent cookies from tracking their data. As for whether Kabbage is legitimate to use, the best place to look is in customer reviews. There can be skewed results when searching for reviews, however; most satisfied customers go about their day and do not make comments, but users who aren't happy with the service will often post a review in a fit of anger. This can lead to disproportionate number of negative reviews. Kabbage counters this by setting aside a section of their site for customer testimonials. The section, called "Kabbage Stories," shows the success stories of businesses that used Kabbage for loans. There are a number of other reviews online from customers who have used the service and raved about it. Another method of verifying legitimacy lies in the Better Business Bureau. Kabbage works to correct complaints and problems that its customers encounter. The services offered have also changed over the past several years as the company grew and adapted. This change demonstrates a willingness to meet the needs of the customers and the market; illegitimate businesses do not change. If none of that convinces you of the company's legitimacy, then you should know that Kabbage is backed by Celtic Bank—a bank based in Utah and a member of the FDIC, with federal insurance. The loans that Kabbage issues come only from Celtic Bank. Despite high APRs, the company is in no way a scam. It's safe to say that Kabbage is both safe and legitimate to use, although you should take steps to limit the amount of information you give away via your browser. Kabbage provides loans quickly for amounts under $100,000. The repayment period ranges from 6 to 12 months depending on the loan amount. The turnaround time is fast. Kabbage is a better fit for borrowers with bad credit who are working to improve their businesses. This includes entrepreneurs who might use credit cards to start their company. Kabbage's loans, while fast, are some of the most expensive loans out there in terms of repayment. The interest rates can be notably high, ranging from 1.5 percent to 10 percent. The repayment structure is unnecessarily complex. Customers are not given much time to repay larger loans. For example, a loan of $100,000 requires payments of $8,333 per month. These are some of the most frequently asked questions customers have about Kabbage. Is it easy to get a loan from Kabbage? The application process is easy, but the requirements limit the number of people who qualify. 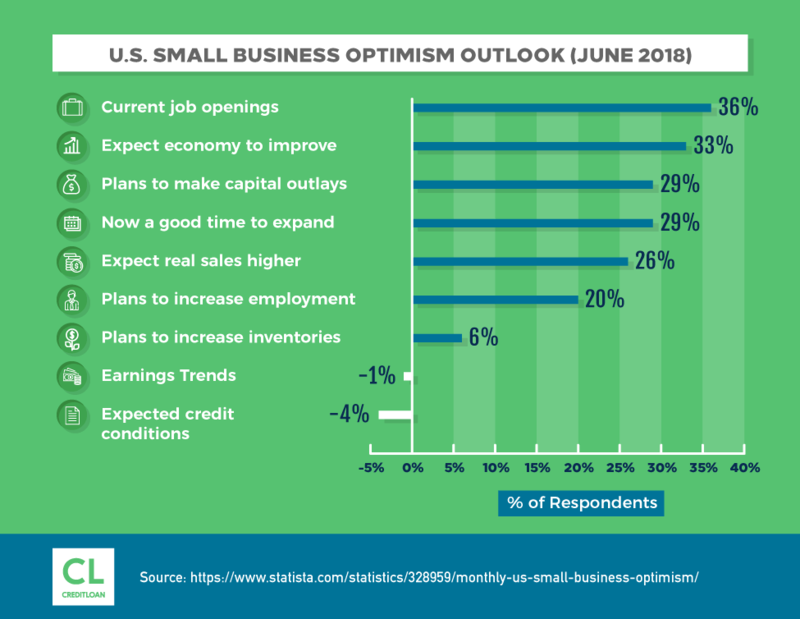 Businesses must be in operation for at least twelve months with annual revenue of $50,000 or $4,200 per month over the previous three months. If you qualify, however, the loan will be paid out within seven days, and often on the next business day. Kabbage is a short-term lender, which means the interest rates are high and repayment terms not the most favorable. However, if you make payments on time and don't get behind, the company is perfectly trustworthy. Multiple companies exist because of loans received from Kabbage. Unlike many lenders, Kabbage is completely legitimate. Will I get multiple calls or emails after signing up with Kabbage? While you may receive some correspondence from the company, you should not receive an inordinate number of calls or emails after signing up. Customers report calls after missing payments and the occasional call from third-party companies, but Kabbage strives to keep personal information private. What is Kabbage's rating by BBB? Kabbage has an "A" rating from the Better Business Bureau, as well as a 3.46 out of 5 rating. This rating is based on a single customer review. The company has closed 36 complaints within the past three years, with 24 of those complaints closed within the last year alone. Kabbage also responds to many customer reviews and complaints in efforts to resolve the issue. Does Kabbage run or affect my credit score? When you reach the third step of the loan application process, Kabbage informs you of the potential for a hard pull on your credit report. While the company will perform a soft pull to check your score, once you accept the loan, a hard pull will go through. This credit check affects your Experian credit score; however, a single check should have no negative effect. Can Kabbage garnish my wage if I am unable to pay? Like most lenders, Kabbage is able to put a lien on your wages if you cannot pay the loan. However, the company also has a team of account management professionals in place to help set up a repayment plan and prevent severe damage to your credit score. Although Kabbage has a set repayment plan, the company is willing to work with customers in times of severe financial distress. What are the most common complaints about Kabbage? The most common complaints are with billing and with the service itself. Many Kabbage customers reported a delay in the company acknowledging when a loan was paid in full, while others found their credit line increasing without their knowledge. Thankfully, these reports are few and far between. Can I get a Kabbage loan if I am not from the US? Kabbage serves customers in the United States. If you are outside of the country, a loan may not be possible; however, if you have immigrated to the US from another country and are starting a business here with a valid address and phone number, you may qualify. Is there an origination fee for signing up with Kabbage? No, Kabbage does not charge an origination fee. However, there are late fees for missed payments. 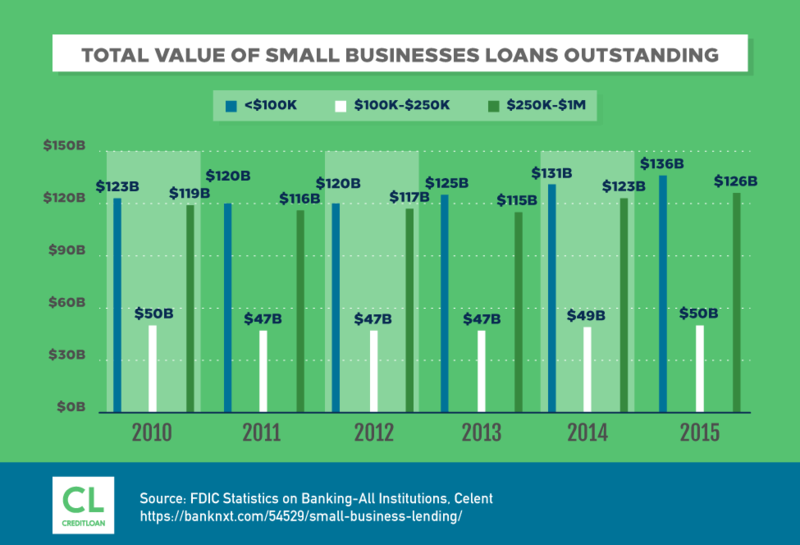 Kabbage takes a unique approach to small business lending and fills a hole in the market. While the company isn't perfect, it can be just what a smaller business needs, particularly if the owner has filed for bankruptcy in the past and doesn't qualify for loans from other lenders. Take the time to evaluate your income and verify that you need the loan before you apply. Taking a loan for the sake of extra money can put you deeper in debt than before, but if your business is growing and you need more capital to meet the demand, Kabbage is a solid option.